There, Ted’s lawyer introduces him to eccentric private investigator Amanda Pharrell, herself a convicted murderer. Not entirely convinced Amanda is a cold-blooded killer, Ted agrees to help with her investigation, a case full of deception and obsession, while secretly digging into her troubled past. The residents of Crimson Lake are watching the pair’s every move…and the town offers no place to hide. 1. 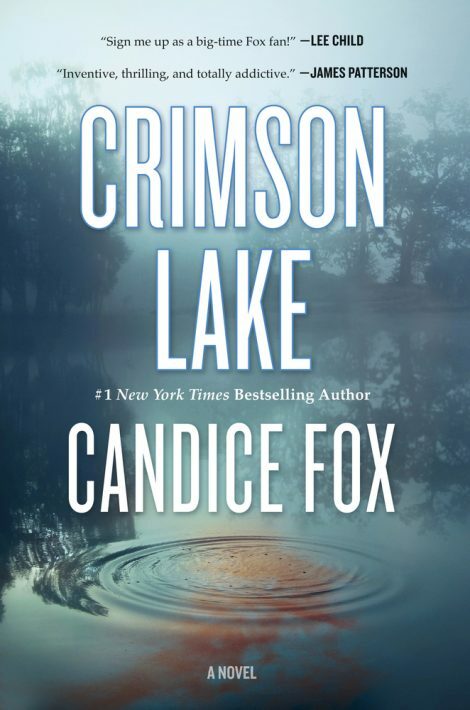 Crimson Lake follows three plots at once―Jake Scully’s disappearance, Ted’s arrest, and Amanda’s criminal history. How does Fox weave these plots together as the book unfolds? Were there connections between them that you sensed before the author revealed them? How does the writer balance the three stories―or was there one that you found pulled more strongly at your attention? Were you surprised by the intensity with which Ted and Amanda devoted themselves to one another’s cases? 2. Characters living double lives dominate Crimson Lake. Whose shadow lives do we follow? What consequences do their secrets have for the people closest to them? What are those secrets doing to their own sense of safety or sanity―are these characters oppressed or protected by the truths they are hiding? 3. Throughout the story, there are some communities that serve as havens, and some that serve as prisons. Do any of these settings serve both purposes at once? How did Amanda fare in prison? What parallels do you see to Ted’s experience in Crimson Lake? To what degree can the factors that confine us sometimes also keep us safe? 4. When he is arrested, Ted finds that as evidence quickly mounts, his family and his colleagues almost instantly give up on him. Were you surprised by this betrayal? Do you think this experience might have been any different if Ted and his colleagues were not police officers? At what points in the story did you yourself believe Ted―and were there any points at which your belief in him wavered? 5. Fox pointedly describes Ted’s suffering as Kelly’s belief in him disappears in the weeks following his arrest. Were you surprised by Kelly’s response? Do you think that Ted has forgiven her by the story’s end, and would you be able to do the same? How do her shifting loyalties affect your belief in Ted’s innocence or guilt throughout the novel? 6. 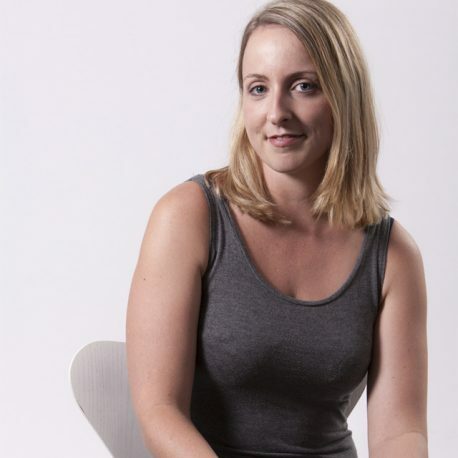 Amanda Pharrell is a character defined by contradictions. How much of the present-day Amanda is left over from Fox’s descriptions of her as a teenager―and how much is a product of the trauma she endured? What do you think enabled her to survive prison and then to make a new life for herself? Does she remind you of anyone in your own life, and what strengths and vulnerabilities does she share with that person? 7. Vigilantes figure prominently in Ted’s story, as is often the case when someone has been accused of child sexual abuse. What feelings did the vigilantes who pursued Ted bring up in you? Where are the lines between personal freedom and community safety? How do you think you might have responded if Ted had moved into your community? 8. At several points, Ted’s fate rests entirely on the weight of circumstantial evidence and the reliability of other people’s memories. How does the idea of memory, and the power it can have over present-day lives, echo through the book? What purposes does memory serve for Ted, and for Amanda? Have you ever been in a situation in which your memory was called on in a way that might determine someone else’s fate? 9. Though he is dead before Crimson Lake begins, Jake Scully looms large in this storyline. Does the author paint a full portrait of him? What was your reaction to Jake’s decision to bury his homosexuality even more deeply once he became wealthy and famous? How do you think his secrets contributed to making Stella and Harry who they are when we meet them? 10. The media emerges as one of the most powerful background characters in Fox’s novel. What role do they play in Ted’s fate? In Amanda’s life? What do you think Fabiana’s motivations are when we first meet her, and then as her character unfolds? In a story like Ted’s, in which a child is the victim, what do you think the responsibilities of the press are? How do they work with―and counterbalance ―the investigations that police are conducting? 11. At more than one point in the story, Fox poses a basic question about identity and change: Are some life events so impactful that the person who survives them may never again be who they previously were? To which characters in Crimson Lake do you think this question applies? How does each of them respond to such a fundamental shift in the way they have always identified themselves, and been perceived, in the world? What might your reactions be―and who do you think you might become―if you found yourself in their position? The white-haired man handed me a plastic bag of goodies. Inside were a couple of paperbacks and some food items. I didn’t have the heart to tell him about my fridgeless state. There was an envelope of forms as thick as a dictionary in the bag. He took one of the coffees and handed it to me. It smelled good, but it wasn’t hot. There wasn’t anything at all within twenty minutes’ drive of the house, certainly nowhere that made a decent cup of coffee. It didn’t matter. The scary forms and the cold coffee couldn’t possibly dampen my joy at seeing Sean. There were about twenty-one million people in Australia who believed I was guilty of my crime. And one silk-clad solicitor who didn’t. “Would you do me a favor?” Sean said. We sat for a while talking about what he was doing in Cairns and how long he’d stay. Sean was sweating through his linen trousers. His poreless nose was burned already by the sneaky tropical sun, slowly cooking the unwary Sydney man through the wet air. I’d managed a nut-brown tan just trudging around the property for a month, walking to the shopping center to buy Wild Turkey. I hoped I’d fit in eventually. That I’d grow safely unrecognizable from the man who had graced the cover of the Telegraph for weeks at a time, the broad-shouldered ghoul in a suit hanging his head outside the courthouse, pale from jail. A beard might do it, I thought. And time. I’d need plenty of time.